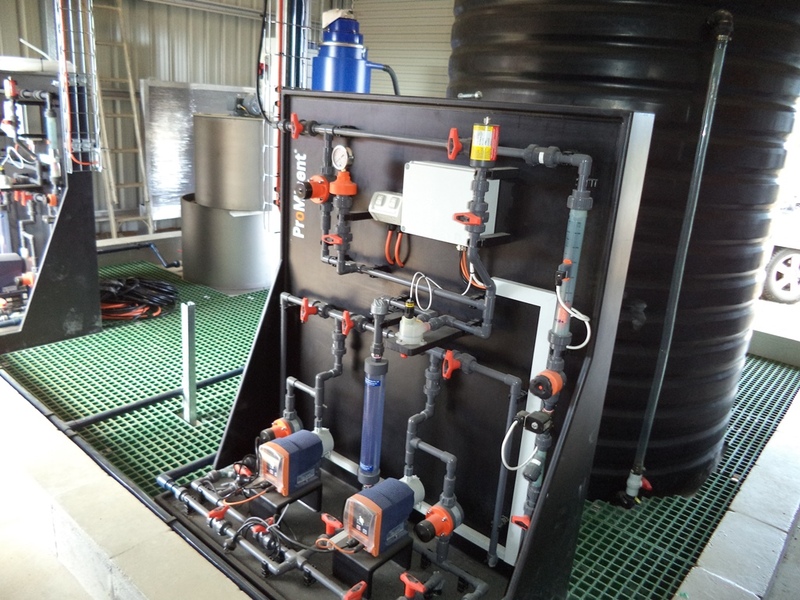 Design & Construction of Molong Water Treatment Plant Chemical Dosing. New Service water booster pump system. Electrical termination panels at each location. ACH dual dosing pump skid / fabricated HDPE skid / all necessary valves and piping / 3kL PE storage tank fitted with level sensors, overflow and vent pipes / Tanker unloading station control panel including digital display. Chemical bonding facility. Design wiring between all instrumentation and equipment. Polymer dual Dosing pump skid valves and piping. PolyRex dry polymer powder plant, complete with feeder /polymer hopper cone; powder vacuum transfer unit / Dissolving cone / Ejector / Dissolving water inlet equipment / maturing tank / pressure switches / solenoid valving/ agitator / dosing tank / dual. Pump connections / control cabinets with integrated ethernet – Modbus TCP/IP protocol) / ABB PLC micro touch panel. Hydro vacuum operated chlorination plant with direct cylinder mounting vacuum regulators with integral vacuum operated auto-changeover module, ProGuard Automatic shut off system / gas leak detector system. New Backwash pump system / neumatic control valving and pipeworks / various coreholing / electrical controls and analyser connections.